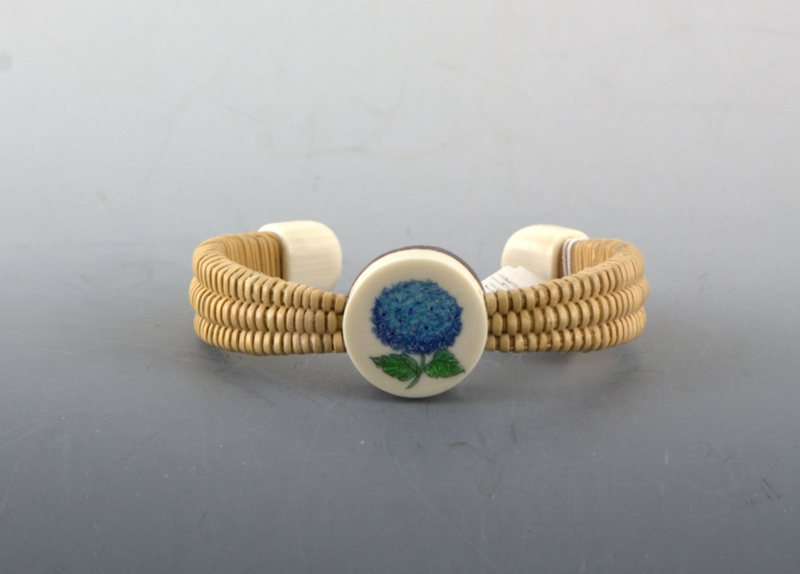 3 Stave Woven Basket Bracelet with scrimshaw hydrangea. 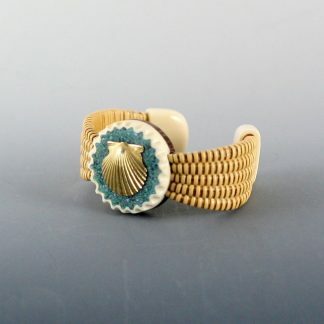 This bracelet is a 3 stave done in the same tight weave that Michael is known for. It has a white casein center with scrimshaw Hydrangea by Dorothy Grant O’Hara. 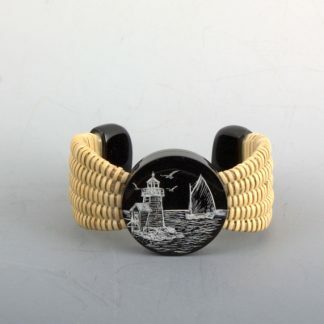 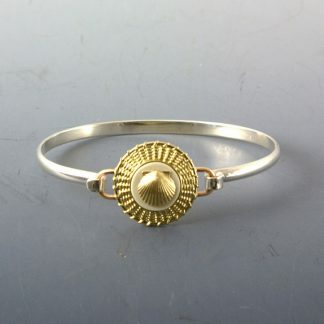 This bracelet is made for an approximate wrist size of 6 5/8″. 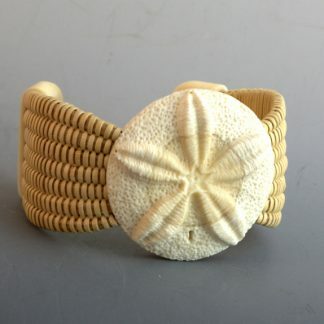 Size matters so you need to do an actual measurement with a soft tape measure in order to give us the right size.